This is a cute mug! I love it. Now, I have TWO daughters, so I'm definitely going to get two mugs. It's made of thick, kitchen-grade glass. Very well-made. It holds approx. 13 ounces of liquid, hot or cold. 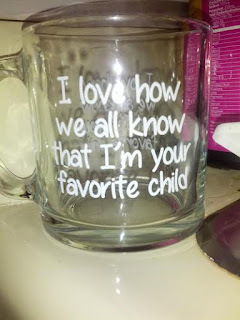 It is dishwasher safe and the writing is guaranteed NOT to wash off. 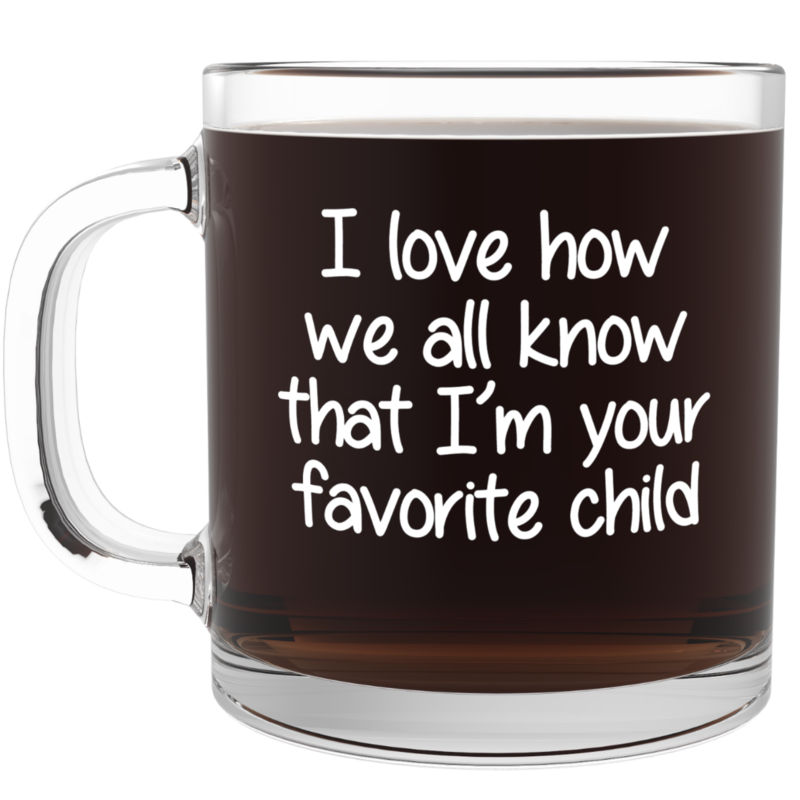 You may purchase this nifty "Favourite Child" mug at Amazon.com. I received this mug in order to facilitate a review. All opinions expressed herein are my own and based on my own use of and experience with the item. 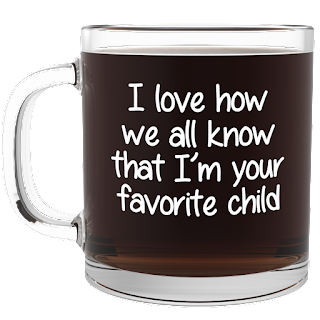 I have this mug too and I love it! !